The “Electric Love” singer travels beyond the earthly realm for his sophomore album, landing somewhere near the clouds. With “Blue Madonna,” Børns avoids the dreaded sophomore slump. This is a lean, experimental offering. While still holding on to signature themes of love and the surreal, “Blue Madonna” marks a clear departure from “Dopamine,” a debut album distinguished by saccharine synth and syrupy melodies. “God Save Our Young Blood” opens with blasting horns as Børns duets with guest Lana Del Rey, singing with a melancholic glamour. Børns crusades for the preservation of what’s within us — our youth and innocence — while backed by a heavenly orchestra. The tracks afterward come with a sense of urgency, juggling themes of mortality, immortality, and everything in between. The experimentation continues in “We Don’t Care,” a track clearly influenced by ’60s rock. Nonetheless, Børns maintains his usual underlying sensuality with the warbling lyrics “We don’t care” and “Touch me,” even while battling against a growing and grating guitar. “Blue Madonna” returns to its buzzing, psychedelic feel in “Man.” While the rhythm sounds are recycled from “Past Lives,” off Børns’s last album, the beats continue to pop, bubbly and bright and still laced with effervescence. “Iceberg” returns to more earthly matters, digging deep into Børns’ ideal relationship as he compares love and art to a perfectly rolled joint. He reveals his glam-rock inspirations in the bridge with idiomatically disguised lyrics. Afterwards, the album melts into the aftermath of heartbreak. “Second Night of Summer” and “I Don’t Want U Back” dip into the murky waters of loneliness and gloom. Though the quick interlude “Tension” cuts through the woes of songs past with its bright refrain, the best of “Blue Madonna” reveals itself in “Supernatural.” Balancing reality and unreality, it crafts an ambience evocative of weightlessly swimming in a state of limbo; in the meantime, Børns searches for the truth. 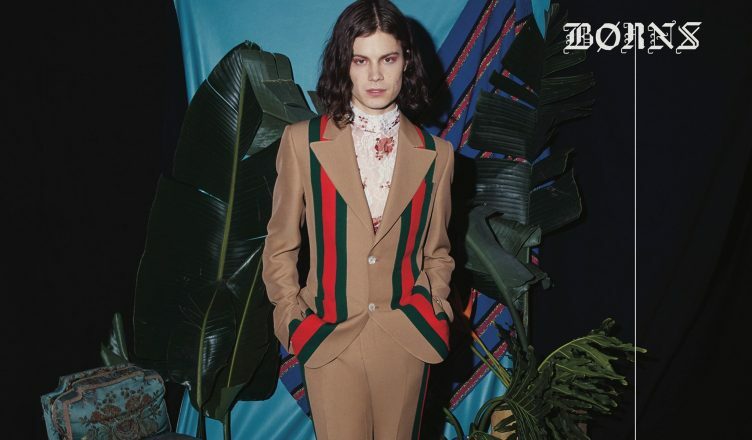 Børns indulges his impeccable range, a culmination of inhumanly high notes with siren-like qualities, while he tumbles down from grace, hitting every drum beat on the way down. Strangely enough, nearly every track brings about a state of deja vu in the first few seconds. Whether a result of nostalgia, a display of Børns’ clear influences, or a product of impeccable producing, the impression is comforting. With “Blue Madonna” venturing into the celestial, it’s clear that the next album is written somewhere in the stars.